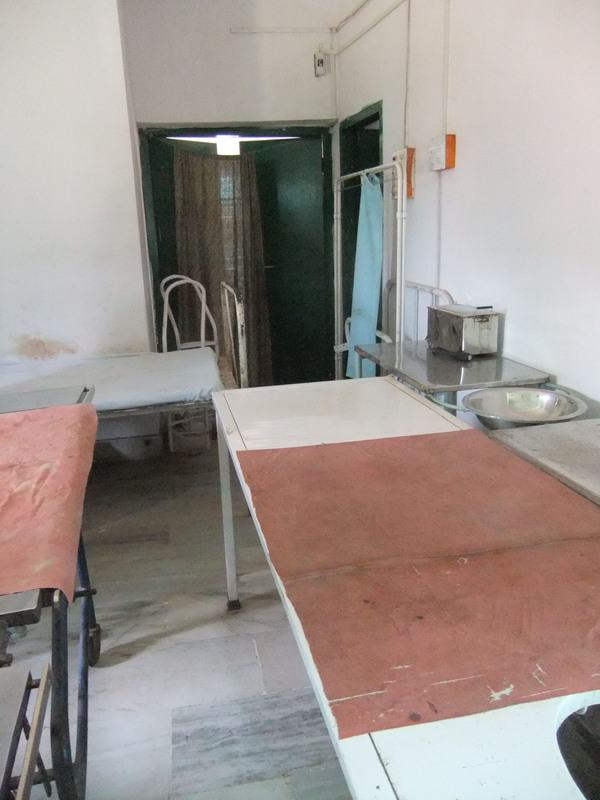 This is the third post in a series on maternal health in rural Jharkhand, India. At 4am, Radha’s body became completely stiff. Then came the convulsions. Radha, a newly married young woman in a small village in rural Jharkhand, was pregnant with her first child and her due date was just one week away. Radha’s story paints a personal picture of the issues that pregnant women face in rural Jharkhand–and it points to conceptual questions and unforeseen consequences of Janani Suraksha Yojana (JSY), a national program that aims to increase institutional deliveries across India. Her story raises big picture questions that merit further investigation, especially given the scope, cost, and potential of JSY, the largest conditional cash transfer program of its kind in the world. Radha’s story also sheds light on some of the implementation challenges and the pockets of the population that seem to be left out, beyond the reach of JSY. Against the wishes of her in-laws, Radha had left her husband’s village and returned to her parents’ home in a small village in the Seraikela block of Jharkhand. She was planning to deliver her baby in her parents’ community and at home, just as her mother, Prema, had given birth to her at home 18 years earlier. Radha’s decisions to return to her parents village and to deliver at home are not uncommon practices in India. In India, women are often married at a very young age. In rural Jharkhand, 73.4% (National Family Health Survey of India, NFHS-3) of women are married before the age of 18. Once they are married, they go to live with their husband’s families where they take on the often demanding role of daughter-in-law that traditionally involves cooking, cleaning, and collecting water and firewood for the entire family. It is an age-old tradition that once women reach the 8th or 9th month of pregnancy with their first child, they return to their parents’ community where they spend the final month(s) of pregnancy and deliver the baby. This tradition is often cherished by women as it offers them some much-needed respite from their daughter-in-law duties, and a chance to reconnect and spend time with their families. According to the National Family Health Survey of India, only 40.8% of deliveries in India occur in an institution–and in rural Jharkhand, where Radha lives, significantly fewer women opt for institutional care with only 11% of babies born within health facilities. Prema, Radha's mother, is the mother of six children--Radha was the fourth, but the first to survive beyond one year of life. Photo by: Karl Gruschow. According to Prema, Radha’s in-laws had recently learned about a government program that is providing a cash payment of 1650 rupees (approximately 40 US dollars) to women who opt for institutional delivery over the traditional practice of home delivery. Prema said that the decision of where Radha would deliver caused a conflict between the two families. She said that Radha’s in-laws wanted Radha to deliver in an institution in their district—and Prema did not seem to believe that their motive was entirely about a safe delivery. It is unclear what motivated Radha’s in-laws to push for her to remain in their district for the delivery. Did they believe that institutional delivery was a safer option and want to keep her close to ensure that she delivered in an institution? Or, were they pushing Radha to deliver within their district so that they would have access to the cash payment? Was it a combination of the two—a promise that Radha and the new baby would receive care in the event of a complication, sweetened with a little cash? Whatever their motives were, the conflict that arose between the two families is one unforeseen consequence of Janani Suraksha Yojana. To what extent might JSY be creating barriers for women hoping to follow the cherished tradition of returning to their parents’ community for the last month of pregnancy and delivery of their first child? What ethical considerations does cash introduce to women’s decisions about where to give birth? The money is obviously aimed at encouraging women to pursue a safe delivery, but the women involved are often younger than 18 and often have only limited capacity within their husband’s families to influence decisions about new behaviors. Who actually controls the money? Whom is actually incentivised by it? If it is the parents and the in-laws who are most concerned with and/or motivated by the cash payment (and will have the most control over how the cash is used), how can JSY be modified to ensure that the wants and needs of rural women are not overlooked? How might policy makers ensure that JSY does not interfere with the tradition of going to the parental village for delivery or further restrict the autonomy of young newly married women to make decisions, while still promoting institutional delivery? During our time talking with women in the Seraikela block of Jharkhand, it seemed to me that women were far more motivated by an awareness of potential complications and an assurance that they and their babies would be cared for than they were by the promise of a one time cash payment. A few weeks back, we met a woman named Sita who had just delivered her second baby. Her first child is now four years old. Sita initially planned to deliver at home but when her labor seemed to go on for too long, she chose to go to an institution. In her case, this was a feasible and reasonably safe plan—as the institution was only a half an hour away from her home and her family had access to a vehicle that could be used to reach the facility. Sita explained that the reason she went to the institution was because she was afraid; “If I die, what will happen to my son?” To Sita, the cash seemed like a nice bonus—but far from a deciding factor. This idea that women are motivated to seek care when they believe institutions will provide them with high quality care is illustrated by the three delays framework for understanding maternal mortality. The framework shows a direct arrow between the quality of care within the facility (perceived or actual) and a woman’s decision to seek care. This means that her perception of the quality will play a big role in whether she seeks care for the first time, but it also means that if the woman seeks care, and it turns out to be poor quality, she might not ever choose to seek care again and her experience might also influence the behavior of other women. Through the National Rural Health Mission, the government has hired an extensive system of community health workers who are working to increase awareness and identification of maternal and newborn danger signs, and encourage women to seek care. Through JSY, the government is providing women with a cash payment that sometimes serves as an incentive and other times as a partial reimbursement for costs associated with seeking care. But, what happens when the women reach the institution? It is important to remember that the type of care they find will play a role in whether they (and their sisters, sisters-in-law, and friends) continue to seek care. Sita’s story combined with an understanding of the three delays framework makes me wonder what would happen if the government, who aims to increase institutional deliveries, took on the challenge of dramatically improving the quality of care within institutions as one of their strategies for increasing the number of women who deliver within health facilities. In Radha’s case, it seemed that tradition, Radha’s parents’ wishes, and Radha’s own wishes would trump Janani Suraksha Yojana, the cash provided by the program, and the wishes of the in-laws. It also seemed that, for Radha and her parents, cash was not enough to persuade them to choose institutional delivery over home delivery. For she was home with her parents when the convulsions began, and she had no plans to go to an institution. But when Radha’s family was awakened by her uncontrollable shaking, the trajectory of events changed course. *One lakh, part of the Indian numbering system, is equal to 100,000. Note: We have changed the names in this series, in order to provide a level of privacy to the families who shared their stories. Tata Steel Rural Development Society, my host organization for my fellowship, provided us with transportation and interpreter services. Many thanks to Shabnam Khalid for her help with translation. 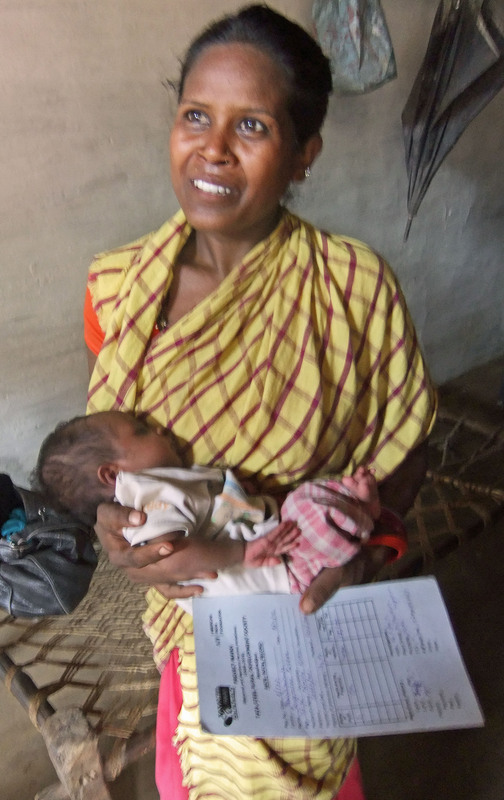 This post is the second in a series on maternal health in the Seraikela block of Jharkhand, India. Conditional cash transfers can be effective in reducing poverty and promoting gender equity. As with other national conditional cash transfer programs, the cash that is entailed in JSY is part of an effort to overcome barriers to service use – such as awareness and cost; and to give money directly to poor women who otherwise may have little access or control over cash. While the program aims to reach poor women across India, it is not applied the same everywhere and, by design, invests the most in the states where institutional delivery is lowest, including Jharkhand. As one of the focus states for JSY, women in Jharkhand have access to greater amounts of money than in other states, and must fulfill fewer conditions to attain it. This means that, while there are restrictions on age, number of previous children and income level in many states, any woman in Jharkhand who gives birth is entitled to the full incentive if they give birth in a facility, whether public or private and government-accredited; and to a smaller amount (for “nutrition assistance”) if they give birth at home. While the cash that women are entitled to under JSY is perhaps the most visible component of the program, it may not always be the most important factor in women’s decision-making – or even the most significant payment. Sahiyas are also entitled to a payment of 600Rs (around $13) for each woman they assist. Though the implementation guidelines for JSY require that sahiyas’ work be assessed based on the number of women they accompany to the health center, their payment relies on fulfilling many more conditions – some of which they may complete successfully, but may not persuade women to deliver in public facilities. Sahiyas are responsible for completing duties well beyond the trip to the health center: they are responsible for identifying and registering pregnant women who are eligible for the scheme, and ensuring that they have the documents they need to access funds, preparing a “micro-birth plan” detailing the expected delivery date, place and possible referral institutions, to accompanying women to health facilities and providing follow-up care and arranging immunizations in the weeks after a baby is born. 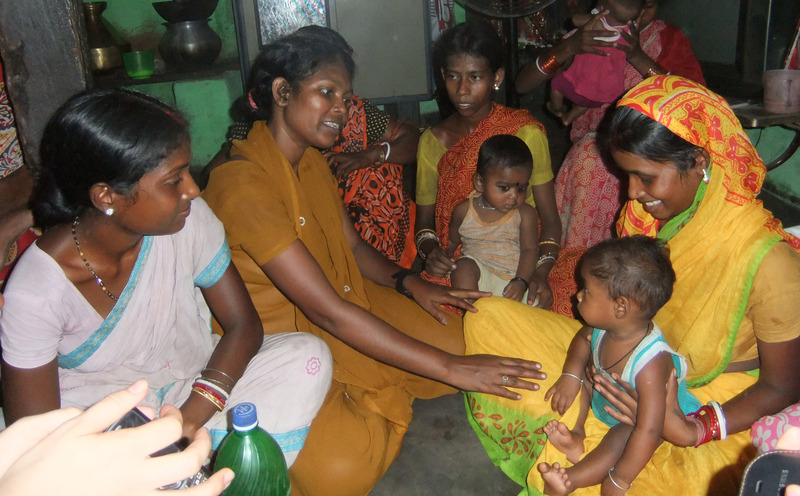 The JSY scheme relies on community health workers, known as Accredited Social Health Activists (ASHAs) throughout India, and known in Jharkhand as sahiyas, who are paid for the assistance they provide to women and babies. The women we asked about the cash incentive told us that they had received 1650 Rs (around $40) in exchange for delivering in the health facility, an amount which includes both the incentive and additional funds to cover transportation costs. The role of the sahiya that is defined in the government’s guidelines seems clearly designed to motivate sahiyas to persuade women to use government health facilities. After all, when this happens, everyone gets paid. And, indeed, the scheme often seems to work this way. In Sini, a village located 20 minutes by car (a mode of transportation not always accessible to the people who live there) from a primary health center, and perhaps an hour and a half from the main hospital, a sahiya named Sudha told us simply, “Everyone goes to the institutions now—not because of the money, but because they are afraid of complications.” As we walked around her village, talking to women who had given birth recently, this seemed to be the case. In fact, as we sat with a group of the village’s women, one introduced a newcomer to the group as a woman who had given birth at home a few years ago – “back before we knew about the risks.” The things we learned in Sini suggested that both the sahiyas and the women they serve are following the script written by the government: the sahiya raises awareness, touched with a little bit of fear, and the women absorb the information, and proceed to delivery in the government facilities. At the end of the day, everyone gets paid, and institutional delivery increases. If our interviews ended there, we would have walked away with an idea that JSY is working according to the guidelines, even if this is slightly different from how it is frequently discussed. In another village, which was located around half an hour from the nearest private hospital, we found a very different story. Sita, who had given birth to her daughter a month earlier, told us that she had originally planned to deliver at home, as she had her son, who is now four. But, after being in labor for more than a day, she started to worry, “If I stay here, if something will happen, then what will I do?” At that point, she called her mother, who arrived in a borrowed car from her own village, half an hour a away, and took her, her husband and sister-in-law to the private hospital, which she had heard was better – and closer – than any public facilities. Her daughter was born a few hours later, with no complications, and the two were discharged the next day. The village’s sahiya, Radha, who was looking on as we interviewed Sita, explained that she had not gone with the family because she had broken her arm – and because there was no room in the car. As she beamed with pride at Sita, “one of the finest ladies in the village,” Radha told us that she had filed the paperwork for Sita’s payment a few days before. Though this meant that Sita’s payment would be late, and, in all likelihood, Radha would not get paid at all, the matter seemed almost an afterthought: the money would come, sure, because Sita was entitled to it. It was not enough to cover the cost of the private hospital, which was 2500Rs, but Sita had saved some money in case she needed to pay for hospital fees, and she now plans to set the money from JSY aside for her daughter. Where JSY – and other cash transfer programs – are often presented along the narrow lines of cash in exchange for a pre-defined healthy behaviour – in this case, institutional delivery in a public facility, in action, things are much more complicated. It is possible that people do not always want to talk about the way that cash influences the choices they make about something so momentous as childbirth, even from the few people we talked to, it seemed pretty clear that their choices, though often health-seeking, did not necessarily conform to the conditions defined by JSY–and were not necessarily strongly motivated by cash. There seemed to be no shortage of knowledge about the risks that go with having a baby, or of the ability for some health institutions to provide some help, whether for a normal delivery or as for Sita, a place to go when things seemed to be going wrong. The more we talked to sahiyas and new mothers, the more questions followed. For a program that is so reliant on community health workers, discussions of JSY rarely address the ways in which different sahiyas may influence women and what factors are influencing them. Does it matter that some sahiyas live in communities where the private facilities have better reputations, even if they are more expensive and there is no financial incentive for the sahiya? Is it possible that the payments sahiyas receive throughout the year ultimately influence women’s choices more than the one payment that the women receive on giving birth? If we follow the government guidelines for assessing sahiyas, it is clear that the sahiyas in Sini are more successful, but if we also consider Sita’s ability to make and act on a plan to seek care in a nearby facility in an emergency, we are left with a different possible definition of success. It might be worth asking how JSY might allow for a broader view of what women want and need. This seems especially important in a community like Seraikela where some health facilities are reasonably accessible, but where private facilities may be too expensive and public facilities are not yet equipped to meet the demands that would come with 100 percent institutional delivery, the current goal of JSY. Note: All names used in this post are pseudonyms. Tata Steel Rural Development Society, the host organization for Kate’s fellowship, provided us with transportation and interpreter services. Many thanks to Shabnam Khaled for her help with translation. An editorial published in the Globe and Mail on Monday calls on Canadians to “abandon posturing over funding abortion overseas,” and turn to a new focus for their plans to improve maternal health abroad: a new facility focused entirely on maternal and child health at the Global Fund to Fight AIDS, Tuberculosis and Malaria. The idea is that this model would allow recipients of funds to decide on the interventions that work in their particular countries, in their specific social contexts. Read the full editorial, When it comes to maternal health, let Africans decide. Be sure to take a look at the comments section of the editorial. For more coverage of the G8/G20 in the Globe and Mail, click here. Today, May 5th, is International Day of the Midwife—and UNFPA and the International Confederation of Midwives have released a joint statement calling on world leaders to address the shortage of 350,000 midwives around the world. Their statement explains that increased investments in training midwives are critical to reaching the most marginalized communities–who typically lack access to health services. “…The UNFPA and ICM point out that midwives can prevent up to 90 per cent of maternal deaths where they are authorized to practice their competencies and play a full role during pregnancy, childbirth and after birth. They have a critical role in providing family planning, counselling, and preventing HIV transmission from mother to child. As the world gears up for the 10-year review of the Millennium Development Goals, both organizations will be campaigning to increase funding for goals 4, 5 and 6 to reduce child mortality, improve maternal health and combat HIV and AIDS. Also, take a look at this video statement of the President of the International Confederation of Midwives, Bridget Lynch. Today’s story on Time.com, Too Many Women Dying in U.S. While Having Babies, describes a new report by Amnesty International called, Deadly Delivery: The Maternal Health Care Crisis in the USA. Download the report and view the press release. In honor of International Women’s Day, the BBC reports on progress toward Millennium Development Goal Five. “…For every 100,000 live births in developing countries, 450 women die during pregnancy or labour. The coalition, which includes White Ribbon Alliance, Amnesty International and Oxfam, says that in 1910, 355 women died per 100,000 live births in England and Wales. In Scotland and Ireland, the rate was higher – at 572 and 531 respectively. In Ghana today the rate of pregnancy-related deaths is 560, while in Chad it is 1,500. The rate in the UK is now 14 deaths per 100,000. Read the full story, International Women’s Day Call for Labour Deaths Action.